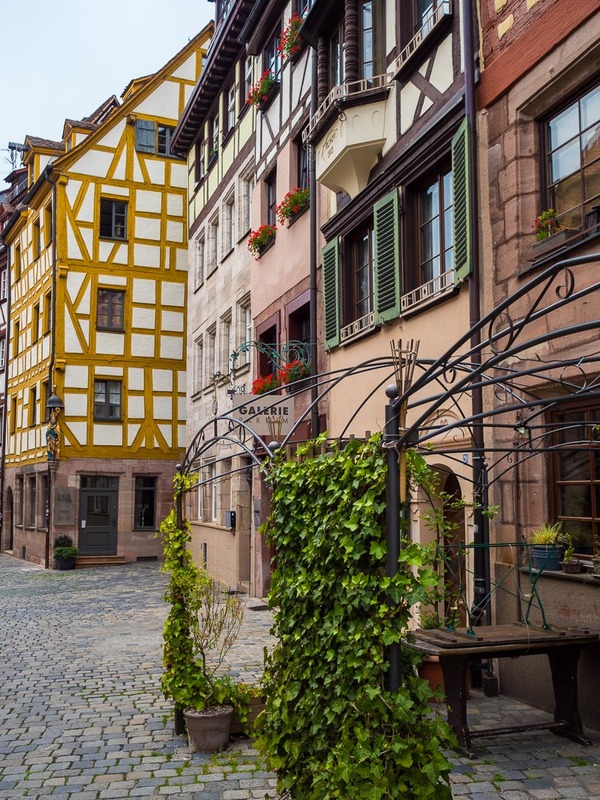 The Weißgerbegasse is a scenic alley in Nurembergs historic old town north of the Pegnitz River. Since medieval times home to the profession of the tanners (hence the name, tanner or skinner =Gerber), the ensemble of 20 half timbered houses (Fachwerkhäuser) has survived the bombings of WW II, has been lovingly restored and is now part of Nuremberg’s Historic Mile (will do a separate future post about that). The tanners processed animal skins into fine white leather using alum, salt, flour, eggs and tree-oil. They needed a lot of water and caused odor nuisance, for that reasons the location of the houses is downstream near the place where the Pegnitz river exits the city walls. A funny fact is that in 1837 the inhabitants of the alley applied at the council to change the name of the street into “Hallertorgasse” (Hallertor is the name of the historic city gate to which the alley leads) as there were no more tanners residing there, but already back then the council refused the name change due to the historic reference of the name. Restoration of the buildings started in the 90’s, still in the 1970’s traffic was passing the through the alley and the timber structures were hidden behind plaster on the walls. 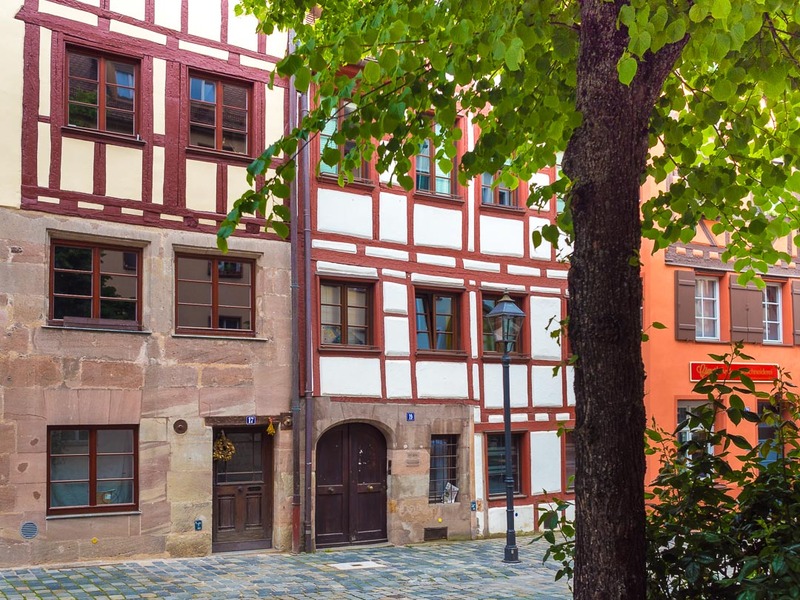 Driving renovations are the”Altstadtfreunde”, an association to preserve Nuremberg’s historic center that also has its headquarters in on of the buildings. After departure of the tanners and renovations today the alley is lined by bars, restaurants, galleries and little shops. Due to the historic use the town houses possess little courtyards with side- and rear buildings and stair turrets as well as their own wells. 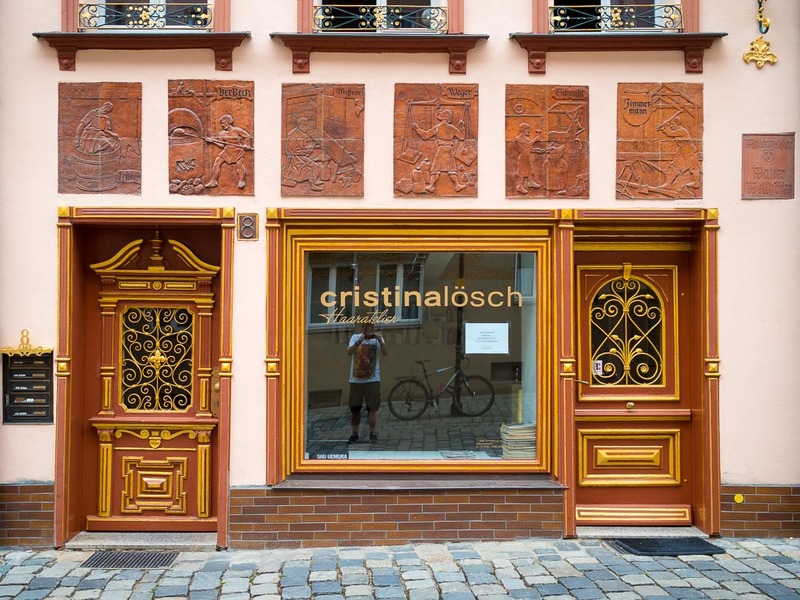 Unfortunately they generally can’t be visited, only on the occasions of city tours by the “Altstadtfreunde”. In the shot above towards the top you can see the protruding alcove, a so called “Chörlein”. Typical for Nuremberg these structures were not only decoration to the buildings but also used for observation of the daily life in the alleys. 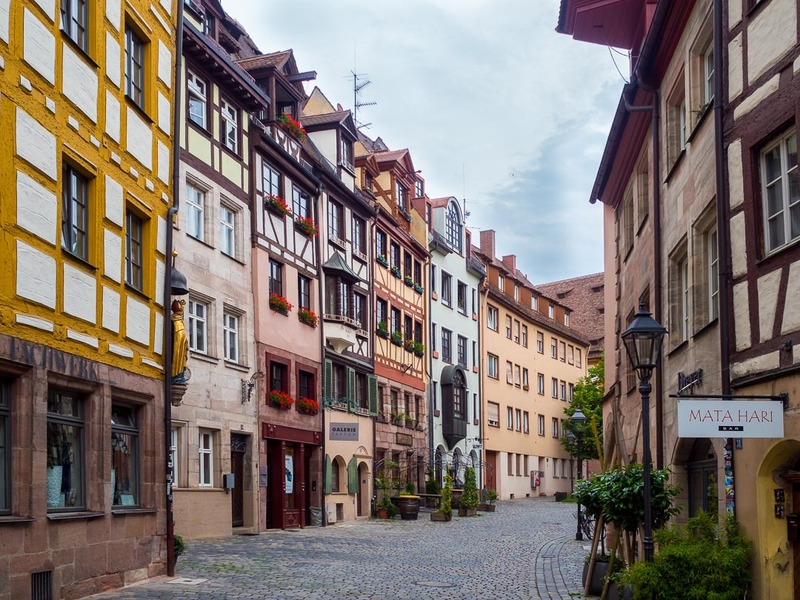 I hope you enjoy this little tour into on of Nuremberg’s historic gems. Want your own Logo ? DIY !